A general description of the camp of Topaz and the story of attempted escape and death. Japanese internment reached its long fingers deep into the interior states of the U.S. not sparing the state of Utah. Utah's contribution to this program came in the form of Topaz. Located 15 miles from Delta, Utah, Topaz was created by the War Relocation Agency to house up to 9,000 evacuees. It would, at its peak, reach a total population 8,232 individuals, and, over the course of its life, Topaz would serve as the home for 11,212 individuals. These first groups of individuals came mostly from the Tanforan race track that had been converted temporarily into an internment camp. They were moved into the camp beginning on September 11, 1942. The camp was constructed in blocks with 34 blocks being devoted to residencies and 8 being administrative, including a hospital built on the site . Overall, Topaz appeared as a well-developed city with schools, libraries, churches, and other features of a normal community . The lack of normalcy in this community was encapsulated by a single event in 1943. An older gentleman, James Wakasa, was killed while allegedly trying to escape from the camp by crawling under the barbed wire fence. The local newspaper reported the initial story, that Wakasa had been attempting this escape and was warned four times by the guard before he was fatally shot . However, a later report by the military showed that he had in fact been standing near the fence when he was shot. Further investigation revealed that many of the military personnel assigned to guard the camp were combat veterans and this particular guard had seen time in the Pacific, perhaps compromising his objective judgment. The death of Wakasa brought to the forefront the inherent tensions that existed within the camp between the Japanese American evacuees and the Caucasian administration. Despite efforts made within the leadership of the camp to eliminate this form of distrust, the fact that the war was still going on and Caucasian Americans were distrustful of most Japanese Americans, citizens or not, was one that could not be passed over lightly. In a cruel irony of wartime circumstances, Utah became a place not for refugees as it had been for Mormon Pioneers in the nineteenth century, but one for prisoners of war within their own country. 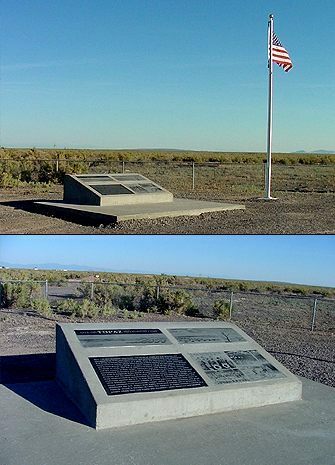 Monument at Topaz Camp Site ~ Source: Topaz Museum, Delta, Utah. In Topaz Museum. Accessed December 6, 2016. Men from the Topaz Co-op ~ Source: Photos, Topaz Museum, Delta, Utah. In Topaz Museum. Accessed December 6, 2016. View of Topaz Mountain from the Camp Site ~ Source: Photos, Topaz Museum, Delta, Utah. In Topaz Museum. Accessed December 6, 2016. Benjamin Sowards, Brigham Young University, “Escape and Death at Topaz,” Intermountain Histories, accessed April 19, 2019, https://www.intermountainhistories.org/items/show/8.